For general information about the Describe Image task, make sure you check out our previous post on How to Do Describe Image for PTE Academic. Introduce the title of the chart. Don’t try and talk about everything! Going from left to right, focus on how the lines change over the graph (what’s called the trend). Include the information that stands out the most such as peaks and troughs (the lowest point). 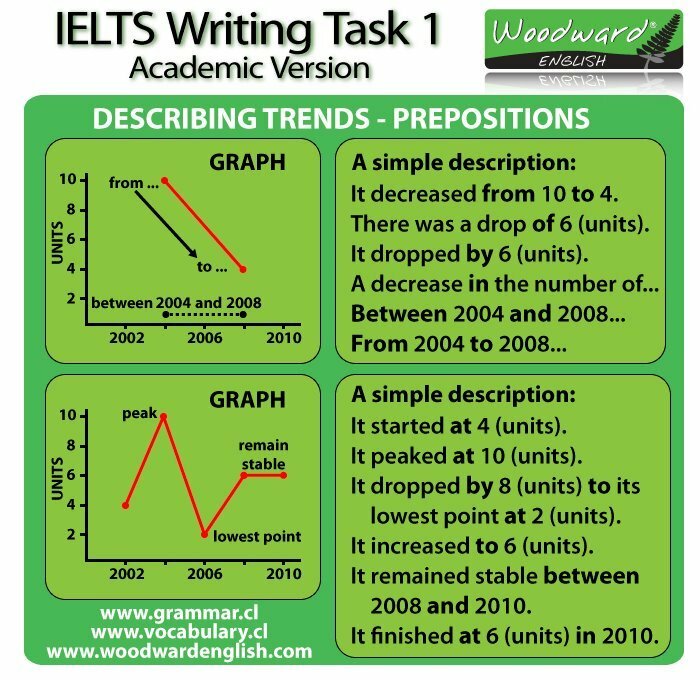 For more vocabulary on describing trends click here, and check out this site that includes excellent audio and examples. To do some exercises click here and here. A conclusion is optional, but you can say something about the chart overall. For even more vocabulary to describe graphs and charts, click here. In Describe Image you have 25 seconds to prepare and 40 seconds to speak. Here is an example. This line graph shows Dubai’s gold sales in 2002, measured in millions of dirhams. In January, the price stood at 200 million dirhams, increasing sharply after February to 350 million. There was then a sharp drop followed by a more gradual decline to 150 million in July. This was followed by a brief rebound in August, where sales reached 200 million, and there was another dip in September but by December, sales returned to almost 200 million. There were fluctuations through the year, but overall, sales stayed at around 200 million dirhams per month. It is also very common to see line graphs with multiple lines. These graphs show a lot of information but remember you only have 40 seconds so don’t try and say everything. The important thing is to compare the lines. Talk about how they are similar and how they are different. This line graph depicts the monthly rainfall, in millimetres, in two major European cities - London and Berlin - throughout the year. In January, the monthly rainfall stood at around 43 millimetres for Berlin and 50 million for London.There was a dip for both cities during February, however, rainfall gradually increased during March and April. Rainfall peaked in Berlin in June, receiving around 70 millimetres, whereas London only received 50 millimetres. Rainfall in Berlin then decreased, with some fluctuations, however, London didn’t reach its peak until October, with just over 65 millimetres. For both cities, the least amount of rainfall was recorded in February, and the most in June and October for Berlin and London respectively. To really improve with the guidance of trained and professional teachers, join a PTE Academic Coaching course at English Key. Not to mention, your PTE Academic Coaching course comes with loads of free practice materials. Get in touch with us today to start your course in Melbourne, Sydney, or online.